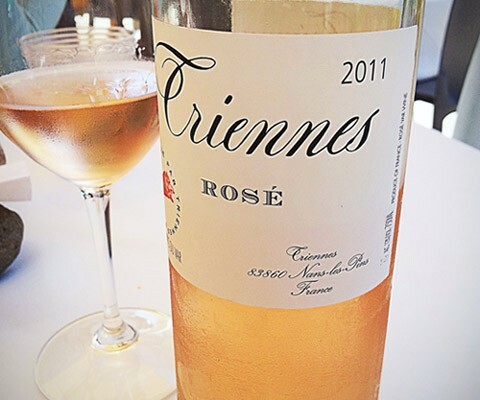 You are here: Home / Wine / France - Provence / Is it Triennes Rosé Season Yet? Is it Triennes Rosé Season Yet? I know it’s not rosé season. In fact, it’s quite the opposite. I sit in front of a roaring fire as I write this, but I can’t stop thinking about drinking a frosty glass of Triennes rose. I’m thinking about how its soft melon-colored floral acidity flushed down slow, languid bites of luscious Morbier cheese in a crisp green salad. And what better to go with maple-cured bacon steak along with fish tacos and sandwiches made from roast turkey or hammered pork? It’s perfect for brunch! In winter, it’s versatile enough for carrot soup or bloody mary meatloaf. Or both in one sitting. It’s even hearty enough to accompany the strong and melty raclette cheese. And I’d drink it with a light fruit dessert such as stone fruit clafoutis. So turns out, it is rosé season after all.